25. WHY YOU SHOULDN’T COMPARE YOURSELF TO OTHERS: social media has somewhat made comparison inevitable. But this article redirects you to what’s important and motivates you all at the same time. This article was also published on Bella Naija and on Ezinearticles.com. 27. HOW NOT TO BACKSLIDE IN A DISCOURAGING WORLD: as the world is getting increasingly wicked and difficult, it’s easy to forget who we are in Christ and tend to backslide. This life changing article will show you how to stay focused in God and conquer the world at the same time. 28. HOW SHOULD CHRISTIAN LADIES DRESS? : this article addresses the issue of modesty, dressing and appearance by Christians. It passes across a stern message in a loving manner. 29. MY THOUGHTS ON TOKE MAKINWA’S BOOK: ON BECOMING: in this article, I reviewed Toke’s book while also drawing some important life lessons. Must read. 30. COMEDY AND THE CHURCH: in this article, I addressed that age long debate of whether comedy should be accommodated in the church. 31. WHAT ARE THE SIGNS OF DOMESTIC VIOLENCE?this article is a must read especially if you are curious about domestic violence. How to identify and how to kerb it? 32. A WELL READ WOMAN IS A DANGEROUS WOMAN: also one of the best articles on the blog. Read to find out how been well read is a great weapon. 33. THE CURIOUS CASE OF JUST DO YOU: arguably the second best piece I have written. This is an article I am super proud of and I plead that you do read it. It addresses the blurred lines in right and wrongs of our generation now. 35. LEAVE THE PAST BEHIND AND MOVE FORWARD: how do you move forward if you keep looking backwards? It’s not possible. This article challenges you to forget the past and press for the future. If you read this, you will be doing yourself a favour. 36. HOW GOD TO TRUST GOD EFFECTIVELY: This article tells you how. 38. IS IT BY FORCE TO FOLLOW YOU? Social media has opened a can of insecurities, what are they? Click to find out. 39. WHEN LOVE TURNS TO HATE: I had always wondered why people who used to be lovers suddenly turn enemies, this article addresses that. 40. BE THE CHANGE YOU WANT TO SEE: Instead of complaining about how bad a situation is, why not change it? Want to know how?Click the link. 41. SURULERE: PATIENCE IS REWARDING: In as much as society has made us impatient, we have a duty to ourselves and the world to be patient people, why? Because patience is rewarding. 42. DEPRESSION: in this article, I shared my personal experience with depression and how I was able to overcome it. I would love you to read it. 43. THE FAMOUS NIGERIAN STATEMENT; IT’S AN ACT OF GOD this article debunks the age long excuse of Nigerians that certain acts is God wish. You should read it, you will be glad you did. 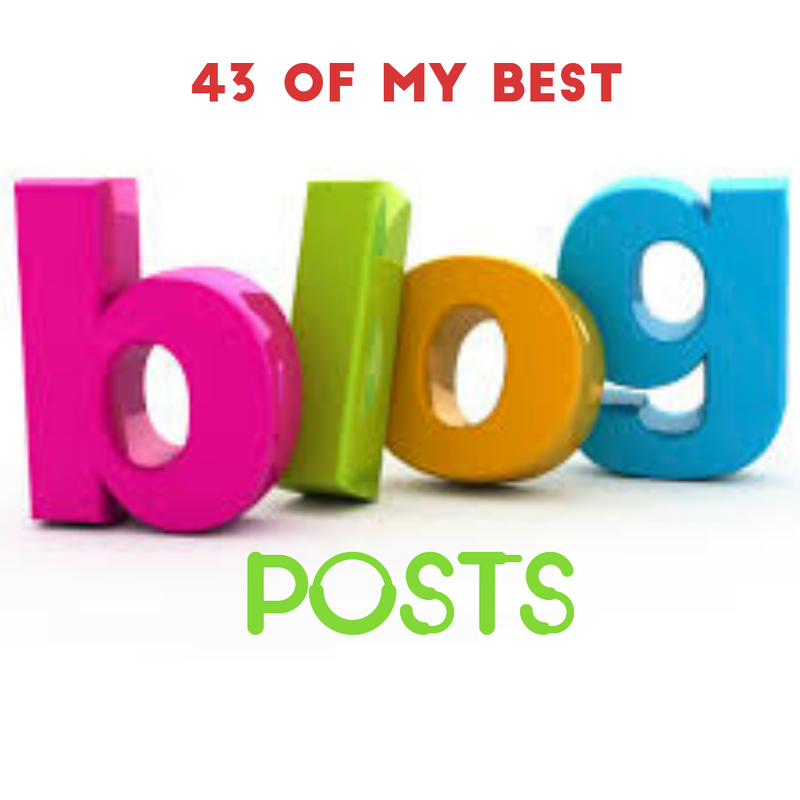 So there you have them, my best blog posts. If you have any post or article that you loved, please share in the comment section. If you’ve read any of these articles, kindly let me know what you thought of it.